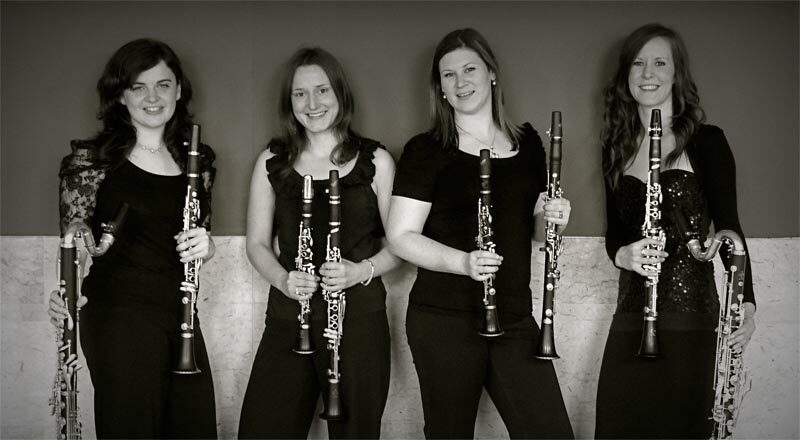 The critically acclaimed Cameo Clarinet Quartet have been entertaining audiences with their varied programming, versatility and harmonious sound since their formation in early 2011. 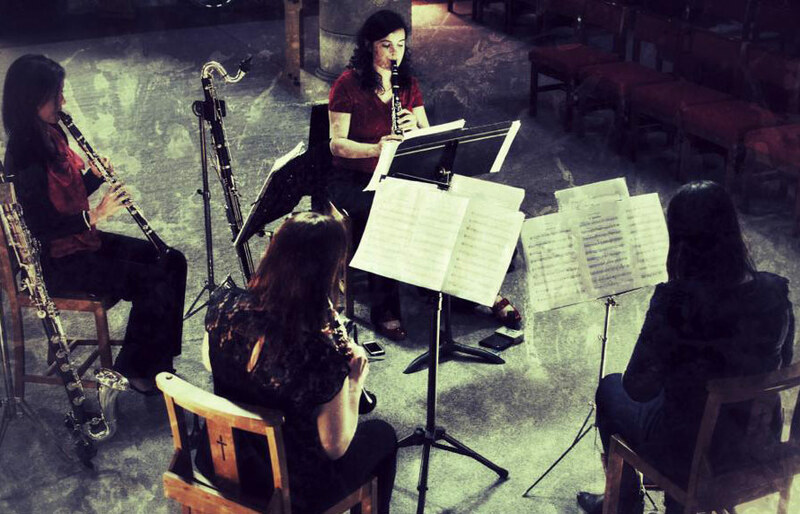 They have performed all over Scotland, most recently during the Edinburgh International Festival, and have been involved in numerous collaborations with the new music group ‘Edit Point’ and talented composers Tim Cooper and Marcus Blunt (Honorary composer-in-residence for Dumfries Music Club). Projects have culminated in a number of commissions, world premieres and appearances at Glasgow’s City Halls and the Royal Overseas League House. The Cameo Clarinet Quartet can be booked for recitals, education work, corporate events, wedding ceremonies and drinks receptions. They are very flexible and happy to tailor any package to suit your needs. 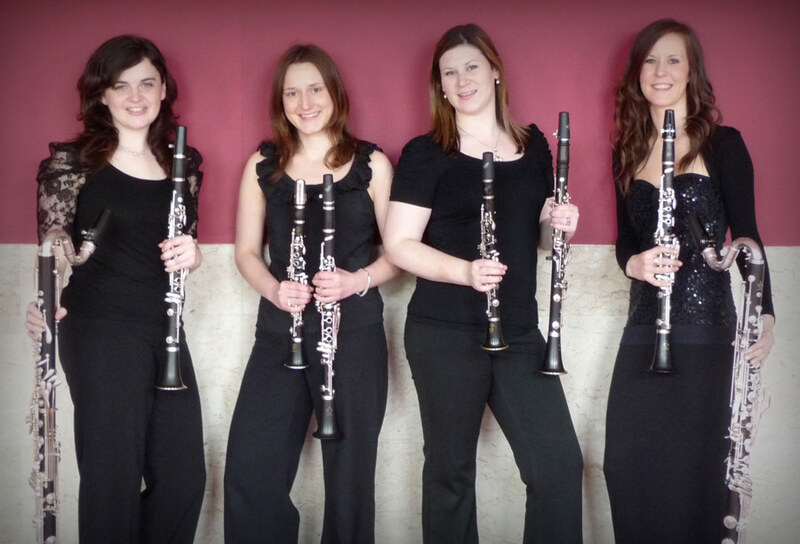 The Cameo Clarinet Quartet plays a lot of well known (and less well known!) Classical music as well as show tunes, film music and popular repertoire. Please get in touch if you would like to see a full set list. 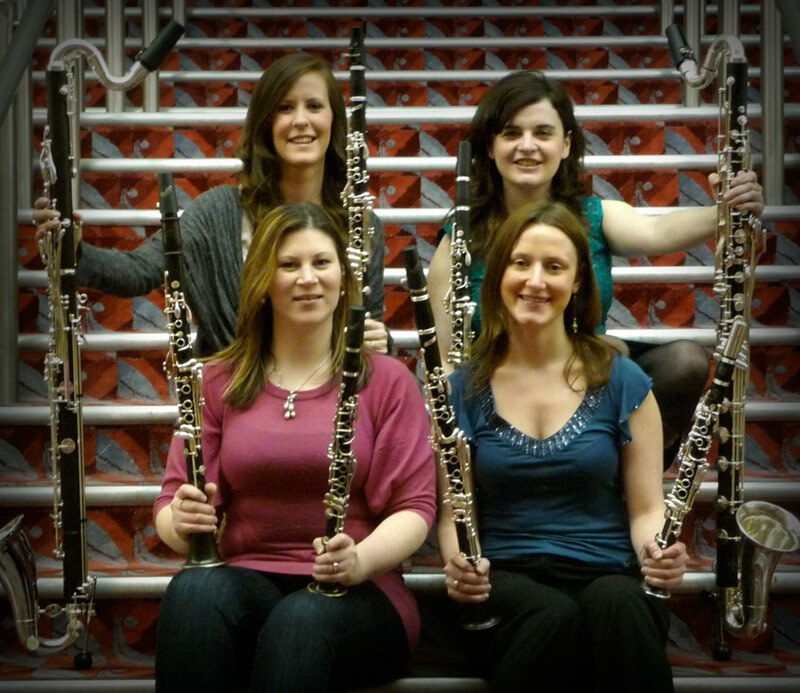 Sure to impress with their wide range of repertoire and harmonious sound, the Cameo Clarinet Quartet are available for recitals, education work, corporate events, wedding ceremonies and drinks receptions.